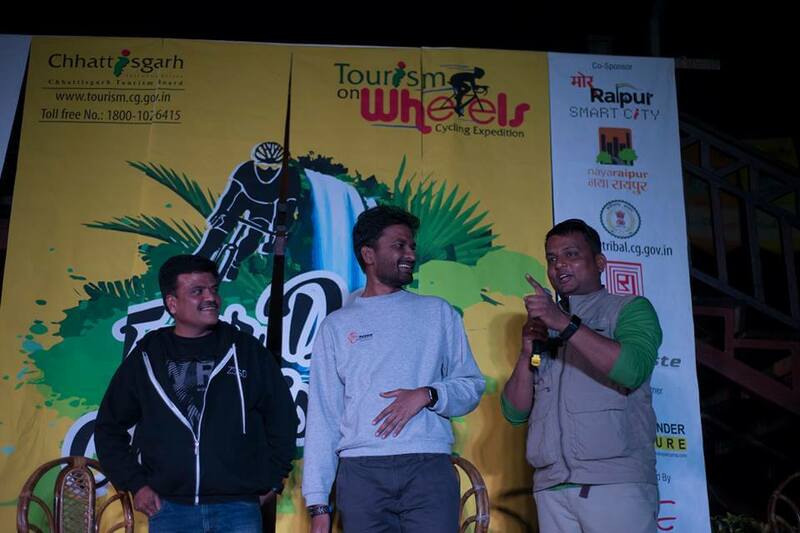 Recently, we were invited as the online media partners for a fully supported cycling tour in the state of Chattisgarh. Starting from Raipur to Chitrakote, the tour promised attractions such as Archaeological sites, wild-life sanctuary, lake, cave and Waterfalls. Who would want to miss such a grand experience? So we packed our bags and headed to Raipur, the city from where it would all unfold! We must admit, the experience was certainly worthwhile. Thanks to a few people who made it happen. And to bring you more insights, we got in touch with one of the humble co-founders, Sachin Palewar to bring you more insights of their company, Cycle Safari, India’s only Cycling Holidays Company. With #TourDeCG being a great success, how does it feel after organising your first cycling tour? Actually this was the 2nd tour by Cycle Safari, first was Tour De Satpura in Aug – 2017, which was very successful and was supported by MP Tourism, after which we were invited by Chhattisgarh Tourism to organise similar tours in their state. Having said that, it feels great of-course and brings a lot of satisfaction to everyone involved in organising the tour. When people come up to us and say that “these were some of the best days of their life and they will always remember them”, or a mom who enjoyed every moment on the tour says, ‘’it was a perfect getaway for her from her daily life and now she can go back to family, kids and work after being rejuvenated” or when we see people from all over India and some even from abroad spending time together, talking, becoming friends, laughing together, during the tour, that puts a smile on our face too. We are very curious to know, what made you start ‘Cycle Safari’? I used to run an IT Company earlier and closed it down a couple of years back and transitioned to a simpler, happier and healthier life. I started cycling and took control of my health which has suffered all these years due to my IT career. Cycling brought joy to me and I have been always thinking can I turn my passion into a profession. Meanwhile, Anil Jaiswal, who is my partner in Cycle Safari also made a similar transition in life and gave up his job in education. Cycle Safari is actually his idea and we knew each other through cycling. So he asked me to join this business venture and I gladly joined him and we started Cycle Safari. We both have other sources for our primary income so we thought, we should use this opportunity to do something we love because we can take that risk now. If it works, we may as well start doing this full-time. So that’s how Cycle Safari started and we plan to do various cycling events and activities besides supported tours like this. We plan to train kids into cycling, we plan to help smart-cities setup Public Bike Sharing networks for the cities and several other things. Let us see how far we can go. Oh, man don’t get me started here. I can write a book on this, maybe one day I will. Ok, but I will try to answer it in a few lines. Cycling is the best way to experience and explore any region. It’s slow enough to let you soak in the surrounding but still is fast enough so that you travel from one place to another. And it’s a positive activity in any way you look at it. It’s healthy, it’s environment-friendly and it’s social. We think the time has come, that people stop doing lazy vacations and start doing active vacations as we call our tours. They are not just for cyclists, but anyone can do them. We basically see them as holidays first. Holidays, where cycling is involved. We are a Cycling Holidays company. What were your learning lessons from this tour? This was a tour where we had to transport the riders and bikes in bus and trucks on some days as the distance between destinations was longer than what we can cover with leisurely cycling ride in a day. On top of it, we had several kids and family doing this tour so rides took longer, our start-time was delayed. All this has been really difficult to manage during the tour and became a huge logistics exercise for us and we will definitely learn from this and handle it better next time. What do you think could have been better on the tour? As I said earlier, we should have been strict with flag-off time in the morning, that would have made our tour perfect really. Of course, organising this cycling tour was not a bed of roses. What were your biggest obstacles that you have faced while organising this tour? Well, our trouble began much before the tour and we had to struggle to get sponsors, which right now don’t see much value in cycle tours and participation fees alone never meets all the expenses we have to meet for a tour like this. Also, we had to struggle to get the registrations. As this is a new concept in this part of India, people think that fees are too high. They associate this to some cycling activity and they feel it’s ridiculous to spend so much on cycling. However, we try to convince them that this is basically a holiday and like every holiday, it includes stay, food, sightseeing and on top of it other cycling related things like on-ride support, rider, luggage and bike transport, official jerseys, kit bag and other goodies. People should compare our prices with that of other holidays they go on with family and friends to make a fair comparison. Most people doing our tours haven’t done any cycle tours before, so they have all these inhibitions and lot of our time is spent answering several questions and explaining to them this concept. Then during the tour, even after all this planning unexpected things do happen and they happened on this tour too. We had to change route due to road conditions at the last minute, our marking team missed marking this change on Day 1 and riders didn’t take the turn they should have and there was confusion and we had to go back and forth in support vehicles to inform all the riders and bringing them back on the route. Thankfully, the situation came under-control before everyone reached Support Station 1 and it was a smooth sailing from then on. How did Chhattisgarh Tourism help you? Do you think bike tours is going to the next big thing in India? Yes, we believe so and we aim to be the biggest cycling tour operator in India and in future we want to be as big as other tour operators but doing only cycling tours and people visiting our country from all over the world to experience. Yes, that’s what we want to do. In India, we want to encourage more and more people to start cycling and experience nature and explore places on bikes. There are several other cycle tours happening in India at this moment and I have done several of them and I really admire the people behind those tours, and I will keep going to several such events as just a normal participant in the future too. 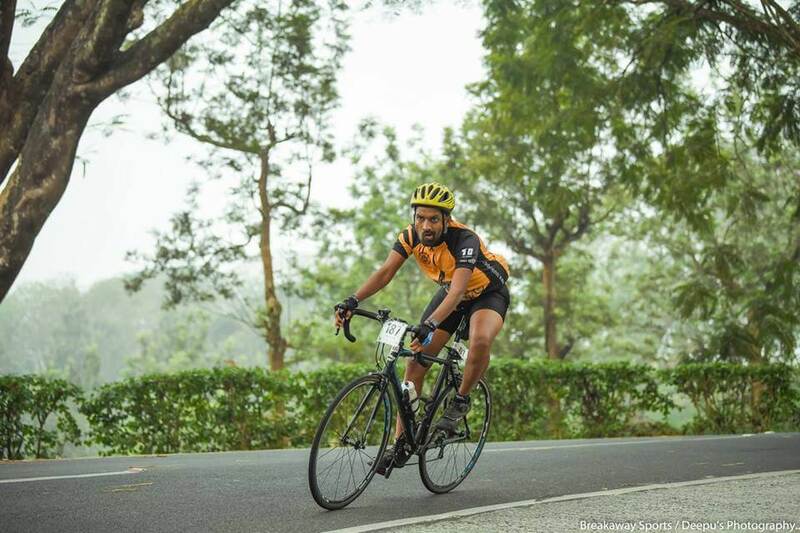 After all, I am also a cyclist myself and need to enjoy cycling without any stress and in a laid-back manner, which I can’t do myself when I am part of the organising team. However, most of these tours are non-profit in nature, which is, of course, great but to make lots of tours happen we need to have a business involved in these events. We need to have people organising these tours for profit, only then this whole echo-system will evolve and survive. We believe in that direction and we are going ahead in that direction. Even if we haven’t made any profit so far, hopefully soon we will. Any other plans on organising another cycling tour? Yes, of course, we are starting Manali-Leh supported trips in July. Multiple trips are planned in the batches of 8-10 riders each. And our USP is that a Caravan follows us and serves as our mobile home during the trip instead of sleeping in tents. Hot water in bathroom, microwave, TV, fridge, we have got everything in our mobile home. 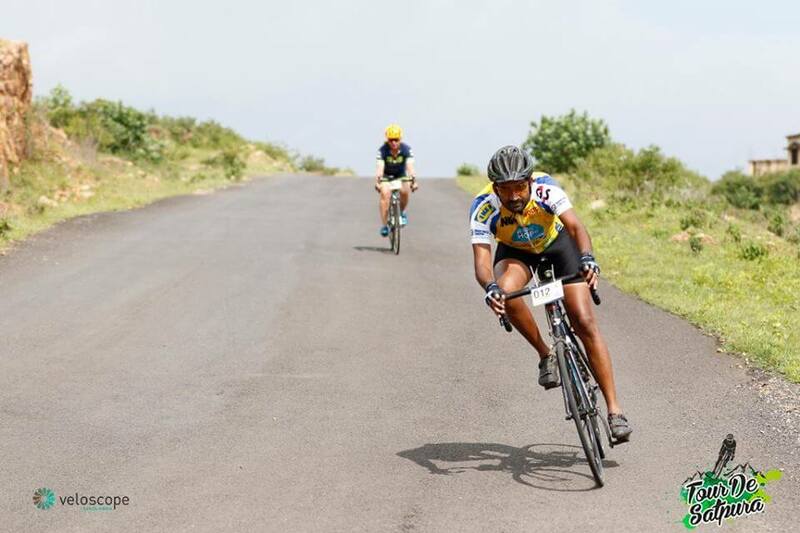 And then there is Tour De Satpura second edition in September for which several people from Europe have already committed registration in private before we even start the registration so we are really excited about that too.